When starting out in a new business venture, there are a million things to do. What is the demand?, what is my startup cost?, how do I set up my business structure?, what equipment should I use?, how do I handle my accounting?, how do I market and find clients?, etc. The list goes on and on and can be very overwhelming. In fact, 90% of business that start do not last longer than 5 years. So it is critical that you start your new venture with proper education and training to ensure growth and success. The drone industry can be tougher than others since it is so new and has extreme regulations from federal, state, and local authorities. With that said, starting your own company and following your passion in the drone industry can also be one of the most rewarding decisions you ever make. This is why Soaring Sky has come out with the Soaring Sky Academy. We have lived and breathed drones over the last 4 years and have experienced countless failures and successes in the industry. We have a passion to continue to progress this industry forward and have developed a platform we believe will bridge the gap in the industry. 1. Online and in person training courses on all drone related activities from the basics, such as your Part 107 test prep, to technical trainings on servicing enterprise companies. 2. Invites to exclusive events and webinars. 3. Access to our exclusive Facebook Group with pilots and professionals worldwide. 4. 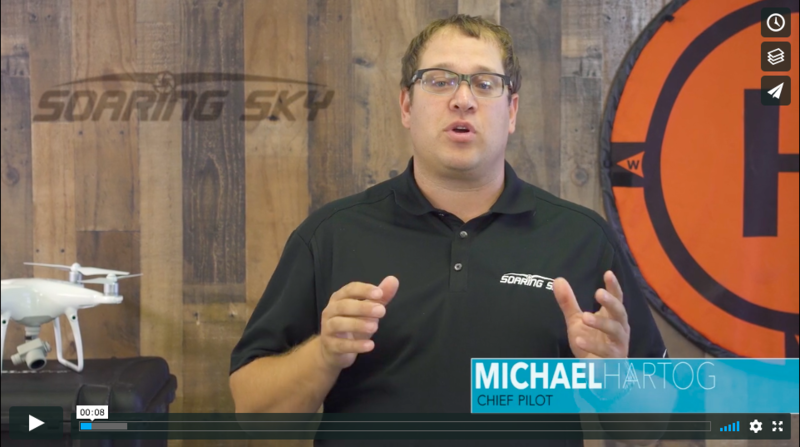 Soaring Sky certified pilots have preferred access to jobs that Soaring Sky receives. 5. Exclusive offers from our commercial partners like DJI and DroneDeploy. 6. Soaring Sky Certification for industry specific trainings. Soaring Sky, led by serial entrepreneur Daniel Barres, has a unique background in the world of business, having founded multiple companies in the real estate and tech industries. With all this combined, this new type of academy and support is a game changer for the thousands of drone pilots out there who are doing their best to compete in the highly saturated market of drone services.